Today Amanda and I went to the Seattle International Film Festival's short-film package titled "Serenity Prayers," our first couples-only event in quite a while. It was incredibly fun; out of the 15 packages available this year, this grouping seemed most up my alley, and as it turns out I was right. It's hard to find someone to curate your entertainment to your exact tastes, so this was a real treat. James Lees asks passersby on the streets of London what's in their pockets. Lees was in attendance at the screening and admitted that most people had the usual mundane things (he himself had a passport and "rubbish", since someone asked), but he found a surprising number of people who carry amazing trinkets that reveal something of who they are, who they've been, and where they're going. I only wish that the requirements of the project didn't limit him to three minutes, since he said he had a wealth of interviews to choose from, and I felt that some of the ones he had include could have used a little breathing room. Ben Kadie, Bellevue, WA, 3 min. 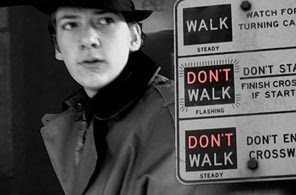 14-year-old student Ben Kadie directs and stars in this film-noir spoof, featuring a Sam-Spade-esque detective after notorious criminals such as "The Jaywalker," who is so hard to catch because our law-abiding hero has to take the crosswalks after him. If it weren't for the baby faces of Kadie and his friends as the main characters, I would have mistaken this film for that of a much older and accomplished filmmaker. This short won the Seattle Times' 3-Minute Masterpiece competition this year. It was fun to see Coupling's Kate Isitt on-screen again, this time as a mother of a young girl who's asking uncomfortable questions. 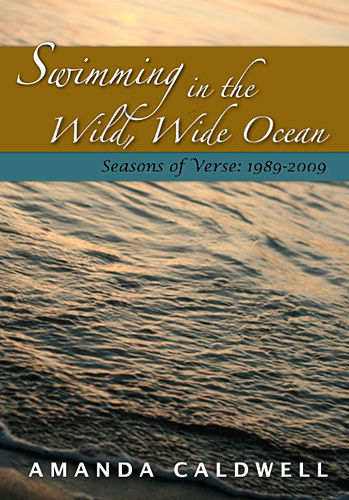 Her range of emotions as she moves from trepidatious caution into losing herself in the question are exquisite. This film is actually a long-form commercial for Veer stock images; the entire short is a South-Park style cut-paper montage from their affiliate's pulp/vintage stock art, pasted together to make a silent-film superhero/supervillain showdown. The distinctive style holds your attention at first, then the plot picks up a bit and you're following the story, and then, well, the film suffers a bit of a lag during an extended chase scene. 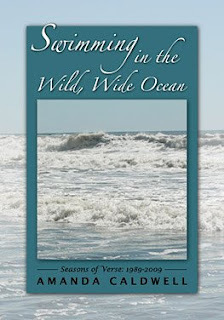 It's rare that a short film is ever too long, but I found my attention wandered. At least it ends with a sharp skewering of convention, South-Park-style. Welgunzer: I can't decide on a favorite from this package, but this one would contend for the top. Any film in which a man turns his bathtub into a time machine is guaranteed to be a wild ride, and this doesn't disappoint. It has a wonderful claustrophobic, fog-thick, haggard feel to it. 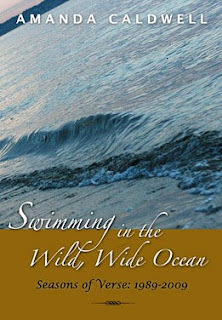 The plot is sharp, the emotions palpable, and the humor gnarled. It is essentially about a man who is heading into the future in order to kill himself, so he can be assured of when the end will come. As the mystery of why unravels, so does Donald. The Day My Parents Became Cool: It's hard to say anything bad about this film after hearing practically half of the audience whoop it up for their homegrown short; many of the actors, producers, and the director were in attendance, and hearing how local highschoolers were involved in every stage of production and given a taste for filmmaking is truly inspiring. The film itself is funny and engaging. But this is really of the story of "the day my parents started dressing like us." The parents don't actually become cool. The kids don't start liking them and hanging out with them. The parents and children are still in separate worlds; in fact, they are even further separated because the adults seem to have stopped caring about or even noticing the kids. It's more of a Project Runway challenge: How to invent new a style that will still get under the skin of your suddenly permissive parents — there's no hint of anything like reconciliation or mutual care. Still, it gets points for raucous and outrageous humor. November: As long as I'm in the slightly downturn frame of mind, I also wanted more from this short. Here's another that has much to recommend it, especially as it was written, shot, and edited in the span of just a week, yet it has a lush and rich science fiction feel. A mythical walled city, where no one every dies, knows only the month of November. Legend has it that the city once only knew summer, but some of them wandered beyond the city and brought back autumn. Our heroine and her grandfather must leave the city and travel through winter in order to bring back spring. The film's main problem can be summed up in the contraband calendar the grandfather possesses with all twelve months, including spring flowers — contradicting what we just heard about the city once knowing only summer. The film is just so heavily allegorical (we must move through death to new life), that it doesn't necessarily feel like human beings as we know them inhabit this world, not emotionally. But I must give kudos to the production designer, because the look and feel of this alternate reality really does draw you in and gets halfway to persuading you. Immersion: Last, and probably my other contender for favorite, is this slice-of-life film of a young Mexican immigrant in the U.S. whose school has just gone immersion-only in order to help the children learn English. Moises is proficient at math, but the new standardized math exams use word problems that he can't understand. The one thing he was good at was taken away, and he is at a crossroads of giving up and withdrawing or finding a way through. Most of this short package is filled with otherworldly adventures, an although this one is grounded in the real world, you definitely feel how, for Moises, this country is an otherworldly adventure. Nearly a year ago, I invented a crispy cookie made out of an egg roll wrapper. I had a few wrappers left over after making something else, and, since one of my favorite dessert crepes is a simple butter-and-sugar topping, I tried that on the wrapper and warmed it up. What happened was a caramelization that made a sweet, flaky, brittle, crispy folded square that had something of the flavor of an elephant ear, but crunchy. At first I just ate them like that — I brought them to a potluck covered in a little powdered sugar and they were snapped right up. Then I got inspired by some fresh waffle cones and wondered if I could make a cone shape ... and maybe fill it with whipped cream, which would add some lightness to the dark caramel flavor. I bought a few pizzelle-cone rollers to make them and some snow-cone holders to hold them, and they were excellent — but time-consuming and uneven to cook. Next I tried oven-baking the cookies, which was a real turning point; they were much easier and more uniform that continually rotating them on a pan. But I was back to the flat shape, as any cone shape I made on the baking sheet just drooped in the heat. So today I took all of my origami skills to try to make a shape that would retain its shape in the oven and still be able to hold whipped cream. The two that worked were a taco-shaped (but which ended up being as messy to eat as regular tacos are), and the one above, which resembles either a fancy folded napkin, or maybe a pocket square, or a flower of some sort, or the pope's miter. I need your help naming the cookie! (Or is it a cannoli? It's a cream-filled tube, yes, but the texture and taste of it doesn't much resemble a cannoli.) The unique features are that it stands upright, it's flaky/crispy/crunchy/brittle, filled with whipped cream, very light and airy, and has a caramelized deep flavor. Crunchtubes™? Brittlecreams™? Sweet Stalks™? Give me your thoughts in the comments below. Incidentally, the reason I finalized the design today is because I wanted to bring them to the food & hospitality lecture I gave at the Quest artSPEAK tonight, to illustrate a project that you could do together when you have someone over to dinner. Something unique like this would create lasting memories if you worked on making them together. Everyone seemed to like the final product. They are rather indulgent (since there's nothing really good in them, per se) but they are so small and airy that you'd have to eat three or four to equal a regular cookie. And they're inexpensive — a package of wrappers for 89 cents would make 60+ cookies, far more than you'd need, and the only other ingredients are butter and powdered sugar, certainly under a dollar's worth, and one squirt of canned whipped cream per snack. Now that I've got the final product, next time I make them I'll take photos of the process and post a recipe and how-to guide. 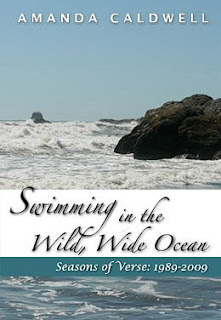 Amanda just finished collecting a large selection of her poetry from the last twenty years (with much of it from the last five years or so), and is self-publishing it through CreateSpace, where it will available through Amazon in early June. I was tasked with coming up with a cover. Like any good graphic designer, I brought several options to the table. It was fun to be working in design again after a few years without much opportunity — so much so that I thought I would share with you all five of the designs I was tinkering with. Although we took all the photos on these covers ourselves, the sunset-off-the-waves picture looked the least like stock photography. It seemed the most unique and distinctive, and after trying it out on all the cover variations, the top design seemed to fit the photo best. 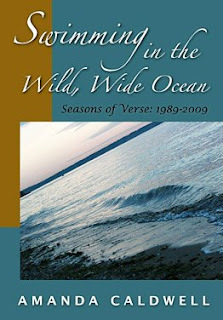 I'll post a link soon to the Amazon listing where you can purchase the book, all 160 pages of poetry goodness! One of the things I'm finding a blast as Corin becomes more of a little boy is the chance to revisit childhood, this time with money. At Christmas time we visited some friends who entertained Corin for a while with a mini remote-control car, which he chased around like a cat after a laser beam. He had so much fun that I went ahead an bought one myself, then upgraded to a full-sized RC buggy. I'd feel rather silly as a thirtysomething in the park zipping around a little offroader by myself, but add a two-year-old, and it's kosher. It will be even more fun to see him mastering it in a year or two. Yesterday we were at Walmart looking at bike helmets, and Corin found a floor-sample kids scooter (a Barbie one, natch) that he didn't want to let go of, pushing it up and down the aisles. He's still too young to know how to ride it, but we kind of liked the idea that he might figure out on his own if we have it around. Amanda and I both have terrible balance, and we are hoping that it's not wholly genetic, and part of it might have to do with not really practicing enough early on. 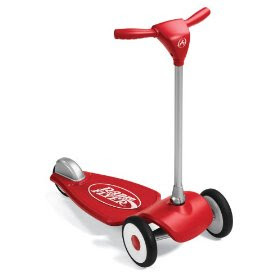 They also had a larger scooter as a floor sample, and I started toying around with it as Amanda was exploring the helmets. 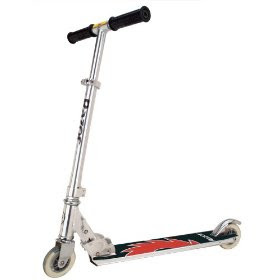 I'd never actually been on a scooter before, and was trying to figure out whether I could stay on it for more than a few seconds. At first, no, not a bit. I think I was trying to use it like a tightrope, one foot in front of the other. Then I saw another guy zipping along on a scooter and I notices his foot placement was more sideways. I tried completely sideways, and that didn't work. I ended up somewhere around a 30-degree angle and suddenly I could use it. I was wheeling around stacks of soda and pulling short of running into carts. It was exhilarating, like finding out I could slam-dunk a basketball — something I knew other people could do but wasn't meant for me. I ended up buying the pro model for a few bucks more from Amazon, so I have to wait a week or so to start having fun with it. 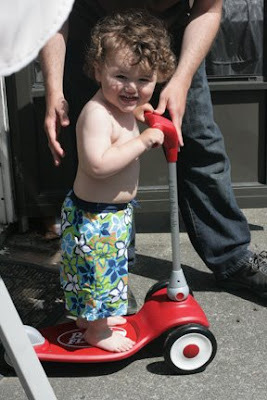 Just a few years ago I would have felt silly trying out a scooter to begin with; there's something that happens to you as you grow up and choose a job and a house and a life that makes you, by necessity, exclude other options. You settle the question of who you are. Then one day you're zipping down the aisles of Walmart, between the dream houses and the board games, and you see that life is constantly new. Sure, maybe I will feel a little silly propelling myself down the sidewalks of Alki, with scooters being about ten years behind the times. But I've got my little munchkin around to watch me, to soak in and imitate everything he sees me do, and it won't be long before we're both zipping along together. Makes everything kosher.